I arrived at the national headquarters on a typical Monday morning; as I jumped out, the SUV stays running and various trainers and administrators pile in to be transported to and from our many program sites. The office is a hub of activity and I instantly get lost in the maze. I am greeted by all I encounter with gracious smiles and kisses. Welcome. Bienvenue. Karibu. 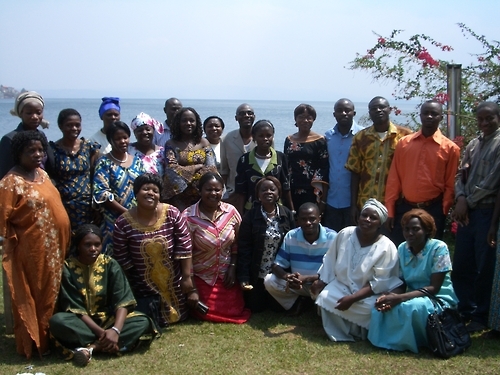 I have arrived in Bukavu to facilitate three staff M&E trainings – one at the main office and one at each of the two sub-offices Uvira in South Kivu and Goma in North Kivu. Today we begin with the largest group: 30 men and women who work in community outreach, enrollment, data collection, translation and skills training. Together we discuss the implementation of current data collection tools; methods to improve their effectiveness in the field and mutually problem solve ongoing issues. Tailoring instructor in Bukavu, DRC. The perspective of our staff is enlightening and extremely valuable. It is often easy given language and distance for disconnects to arise, my goal is to address as many of these as possible before returning to DC. I am given the opportunity to speak too many of our staff one on one and learn about their lives, their families and their work. Through these exchanges I am reminded of the dedication and capacity of those who work day in and day out in this challenging environment. The final day in Bukavu consists of a visit to Panzi training center where we collect evaluation information from participants who are graduating from the program. At the training center women are taking classes on tile making, business skills, tailoring and culinary arts. 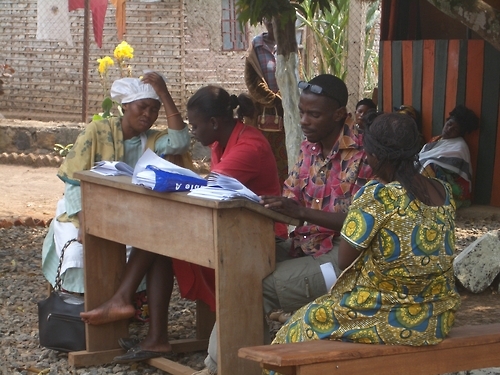 Data Collection at Panzi Training Center in Bukavu, DRC. We meet Jeannette Sifa who entered the WfWI training in 2004, she proudly carries her original participant ID card in her purse. 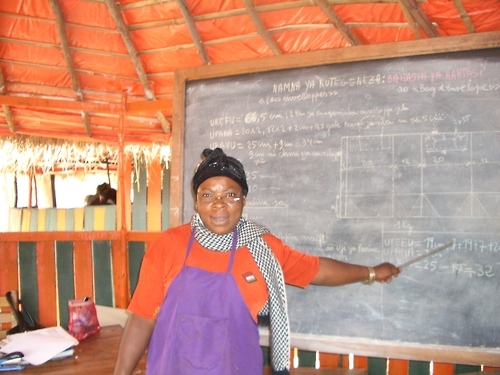 Jeannette is now a trainer in tailoring, where participants learn to make measurements and assemble small paper bags. The final products will be marketed to local grocery stores to use in place of plastic. The training center is completely serene and in stark contrast to the crowded and chaotic streets outside. It is truly a safe and calm space for women to be together and learn. After many days of traveling, working and absorbing the scenes around me – I sit on a bench and peacefully watch a women working in the demonstration garden, who wouldn’t want to spend their day here? I read on the BBC news that more rapes have been ongoing in the DRC. How do I find out if my “sister” is safe?